We sell LOCAL GOODS! Log Home Soaps. Mennonite jams, pickled good and preserves. Walkerville soy candles.Convenience, grocery, coffee shop, snacks, drinks, ice, camping supplies, firewood, local honey, maple syrup, birdhouses and more. River Canard is the most southern river in all of Canada. Canada has many diverse regions and river systems. River Canard is Canada’s truly most southern river system with its unique bio diversity. The Detroit River is actually NOT a river but a straight. 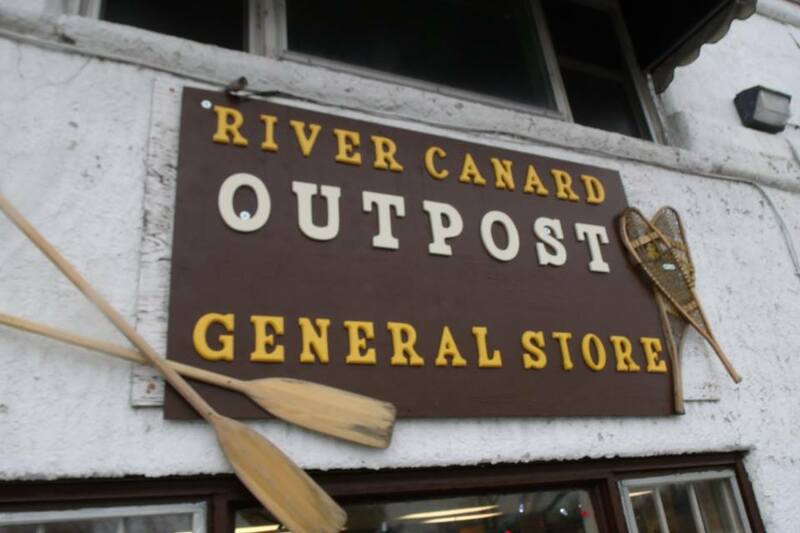 Get out and enjoy a local unique experience by renting a canoe or kayak and explore the River Canard. Spring has arrived! River Conditions: Above normal water levels, good paddling in all sections. Active wildlife – bald eagles, muskrat, mink, ducks, geese and more. 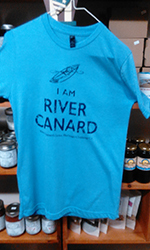 Hundreds have explored and enjoyed the sights and tranquillity of River Canard. Family get-togethers, a date, events, birthdays, corporate outings, whatever, just do it in a canoe. We provide excellent basic training to get you on your way and feel confident about handling a canoe , kayak or SUP. Our River Guides will help you get the tools and confidence you need to experience the great outdoors. We’ve combined our training to include a rental as well, so that when the 45 minute class if finished you can explore the river on your own for up to 4 hours. Catch the new wave of the fastest growing watersport, SUP. Experience the River Canard while standing on a board. It’s a great physical activity, like surfing and paddling together. We have River Guides for hire who will teach you the basics of canoeing, canoeing safety and go out on the river with you. Guides cost $30.00 per hour in addition to your canoe rental costs, but well worth it. Let us help you design a trip with our guide. Birthday parties, events, call to enquire pricing! Long Marsh creek is a smaller tributary of River Canard that winds through the forest and is naturally sheltered from the wind. Did you know the canoe has been voted a wonder of Canada! The River Canard has over 15 bridges to paddle under, two islands, Long Marsh Creek, Cahill Creek and Merrick’s Creek. Wildlife abounds with egrets, ducks, geese, swan, eagle, muskrat, blue heron, numerous fish, and more. As you paddle on the quiet river, you may see a muskrat swimming nearby, a turtle on a log, and fish jumping from the water. The river is vastly diverse with open waterways with scenic homes, extensive marsh fields teeming with wildlife, quiet winding river through Carolinian forests. River Canard was pivotal in the War of 1812. When the Americans invaded at Sandwich town from Detroit, they marched towards Fort Malden to gain its capture, however River Canard was in the way. Two British privates, James Hancock and John Dean were left to defend a little wooden bridge against 280 invading Americans. Hancock was killed (the first British casualty of 1812) Dean was wounded and taken prisoner. Both were publicly commended by Sir Issack Brock for their bravery and heroism. The bridge that is located at that spot today has been named after Hancock and Dean. The first Native American to die in the War of 1812 was scalped by the Americans while defending the same bridge. 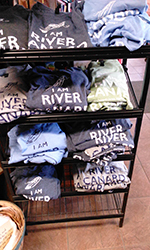 River Canard’s history is extensive, with Indian burial sites and artefacts, muskrat farms, French settlers, fur trade, grist mills and more. River Canard has a unique biodiversity of vegetation and wildlife like nowhere else in Canada. Pack a lunch. Bring the family, friends or a date. Bring your camera. Leave nothing but ripples in the water. Groups, clubs, celebrations, fundraising, marathons, corporate events, reunions, outings, parties, and school groups- Call us and we can customize an adventure for you. Call 519-734-8558 for departure times and to reserve your spot. includes River Guides, hotdog, snack and drink, games and rentals!